Design and Technical Production at The University of Alabama is a small and intensely production- oriented program that allows students to utilize the entire curriculum to serve their individual needs. Students in this concentration meet regularly with their area of study director for instruction, discussion of theory, design techniques and analysis/criticism of projects on the mainstage and studio theatres. First- year students typically serve in support capacities on productions such as Master Electrician or Assistant Lighting Designer. They will also typically design a production in the studio theatre in their first year. As students develop and progress in their training they will be given more challenging opportunities. Generally, the progression is from a smaller production in the studio theatre to a mainstage production, often a musical and possibly a touring production. For their productions, students are provided with a full complement of stock equipment. The instrumentation ranges from ETC Source Four Tungsten fixtures, ETC and Altman LED fixtures and to a small inventory of moving fixtures. There is also the opportunity to rent equipment. All theatres have ETC controllers. Assistantships are awarded based upon a portfolio review, interview and acceptance into The University of Alabama Graduate School. For more information, please contact Matt Reynolds, Director of Lighting and Sound Design, at mcreynolds1@ua.edu. First year students will typically serve in support capacities on productions such as Scenic Charge or Properties Master. 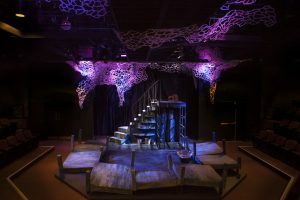 They will also typically design a production in the studio theatre in their first semester. As students develop and progress in their training they will be given more challenging opportunities. 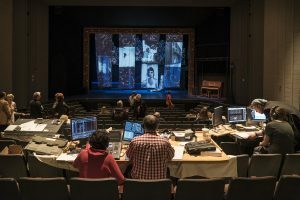 Generally, the progression is from a smaller production in the studio theatre to a mainstage production, often a musical and possibly a touring production. 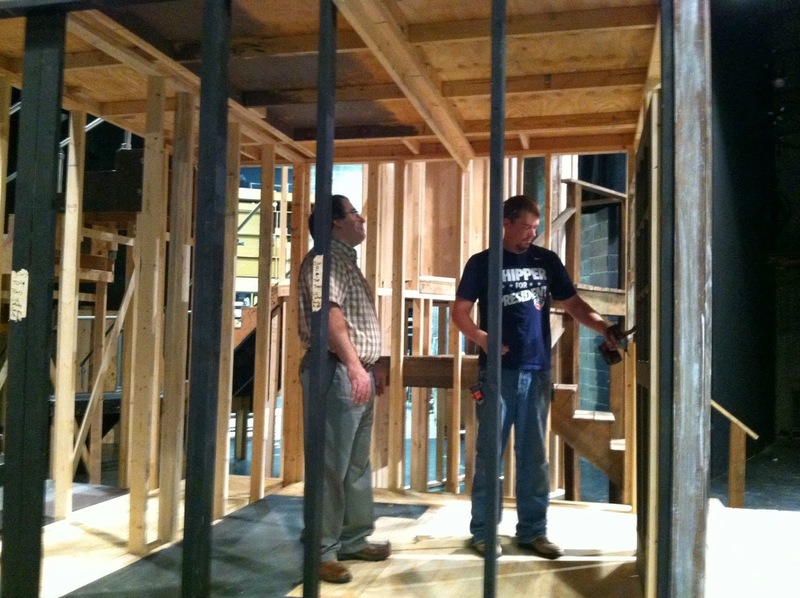 The typical studio theatre production will have minimal monetary support, but a designer will have full access to stock scenery. 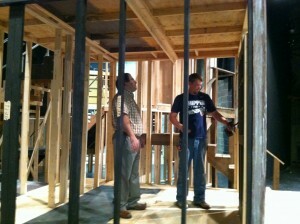 The traditional mainstage production will have full production budget and labor to create scenery. Assistantships are awarded based upon a portfolio review, interview and acceptance into The University of Alabama Graduate School. For more information, please contact Andy Fitch, Director of Scenic Design, at afitch@ua.edu. First year students will typically serve in support capacities on productions such as assistant technical director. They will also typically serve as Technical Director in the studio theatre in their first semester. As students develop and progress in their training they will be given more challenging opportunities. Generally, the progression is from a smaller production in the studio theatre to a mainstage production, often a musical and possibly a touring production. As opportunities arise, students in the program may be chosen to assist the Program Director on in-house productions and professional work in the region. Assistantships are awarded based upon a portfolio review, interview and acceptance into The University of Alabama Graduate School. For more information, please contact F. Randy deCelle, Director of Technical Production at, rdecelle@ua.edu.